Japan's Mouse Computer has released an Android 2.2 OS powered tablet. The Luv Pad AD100 Android 2.2 tablet from Mouse Computer features a NVIDIA Tegra 250 chipset, 512MB of RAM (DDR2) and 8GB of flash memory. It comes with a 10-inch LED TFT (1024 x 600 resolution) and Wi-Fi B/G for a total weight of 760g. The LuvPad AD100 costs 39,800 yen which is about $466 in Japan. In case you're not in Japan, luckily GeekStuff4U is offering the LuvPad to overseas customers for 48,250 yen which is about $571. It comes with a Japanese manual and is available for pre-order. 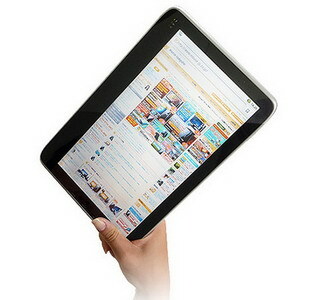 0 comments on "LuvPad Android tablet goes on sale in Japan"